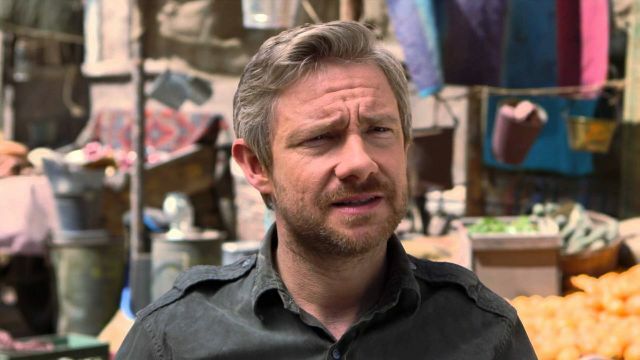 He might be the greatest English everyman imaginable—Martin Freeman’s dry humor is just as strong as his dramatic acting chops, making him perfect for practically any role that’s thrown his way. He’s most well-known for his roles on British television shows The Office and Sherlock, as well as his feature film portrayal of Bilbo Baggins in the Hobbit trilogy. He’s an Emmy winner, a family man, and — above all else — a great actor. 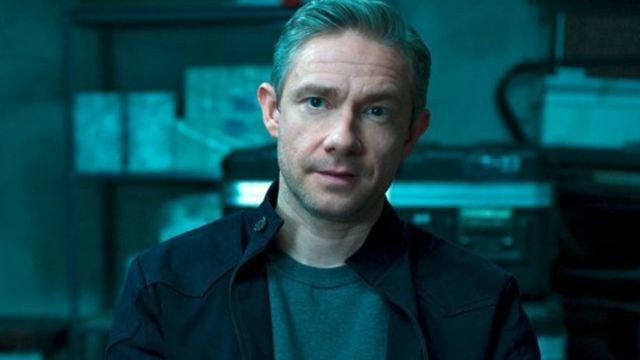 While you might recognize him most from his stint in the Marvel Cinematic Universe or his role as the John Watson to Benedict Cumberbatch’s Sherlock Holmes, he’s done a great job in countless other roles across both film and television. The third of Edgar Wright’s Cornetto Trilogy, a loose series of films connected by their love of genre filmmaking and its two leads Simon Pegg and Nick Frost, sees Martin Freeman playing one of five childhood friends who’ve lost touch. Reunited for the first time in twenty years, the group tries to top their senior year pub crawl while battling off alien invaders. It’s a hilarious (and surprisingly touching) homage to the science fiction films of the past, and Freeman does a great job holding his own against Pegg and Frost. Like The World’s End, Ghost Stories is something of an homage — instead of science fiction, though, this film harkens back to the creepshow films of the 20th century. It’s a collection of three stories, with Freeman playing a man named Mike Priddle. Once Freeman gets a chance to shine, he really shines brightly. It’s one of the most classic Christmas films of the 21st century: Love Actually. 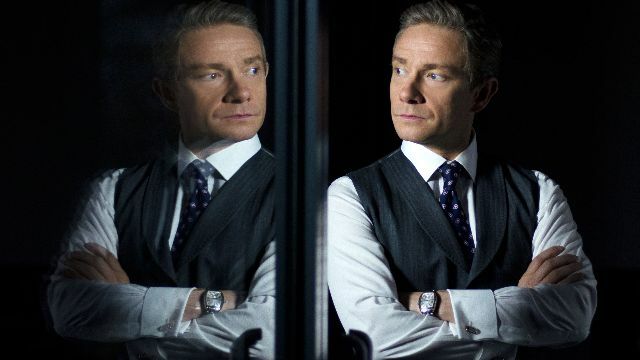 The cast is extremely British, composed of such actors as Hugh Grant, Emma Thompson, Bill Nighy, and Colin Firth, so Martin Freeman’s inclusion is no exception. It’s a delightful and pleasant movie, made all the better by Freeman’s part of the whole. The second film in the Hobbit trilogy is by far the best of the three — Freeman gets plenty of chances to shine as an actor, the action and world-building is on a new level compared to the previous and following films, and it’s almost good enough to harken back to the level of skill and craftsmanship that went into the original Lord of the Rings trilogy. 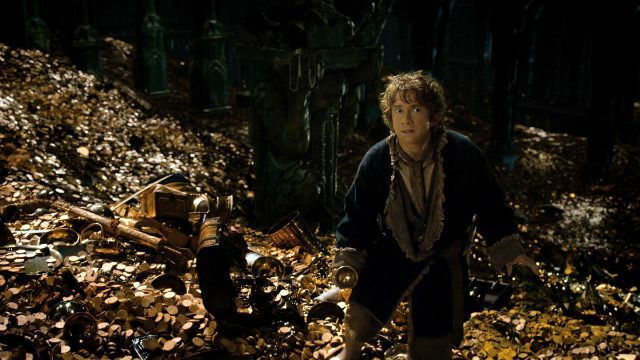 Bilbo Baggins seems like a role made specifically for Freeman. Purchase the complete trilogy now on Amazon for $59.99. 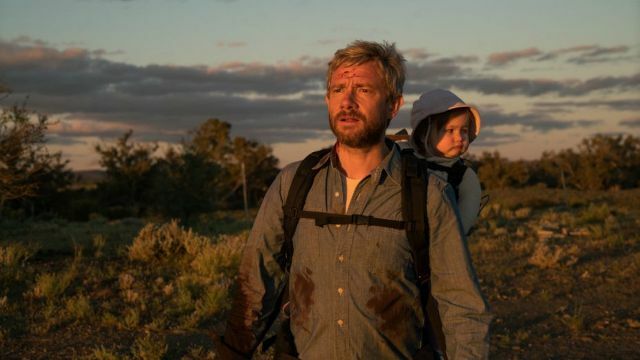 Freeman’s role in Cargo is one of his most serious to date: he plays a father, searching through all of Australia in hopes of finding someone to take care of his daughter. An epidemic has decimated the country, and Freeman plays the role strongly and with a level of nuance that probably would’ve been lost on another actor. Comedians always manage to do exceptionally well in dramas, and Freeman is further proof of that. 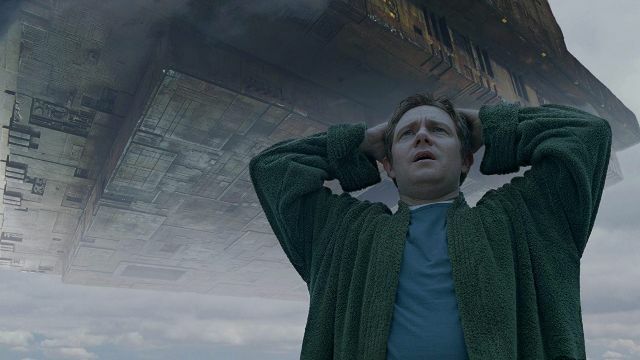 Based on the classic novel by Douglas Adams, Freeman stars in the 2005 adaption of The Hitchhiker’s Guide to the Galaxy. He really is the star, too — the other actors are good, with Sam Rockwell giving an especially great performance, but none compare to Freeman here. He’s the perfect lead for a silly, adventurous movie like this one. Again based on a book, Whiskey Tango Foxtrot stars Tina Fey as real-life journalist Kim Barker (or Baker, as the movie calls her) as she covers the war in Afghanistan in the early 2000s. 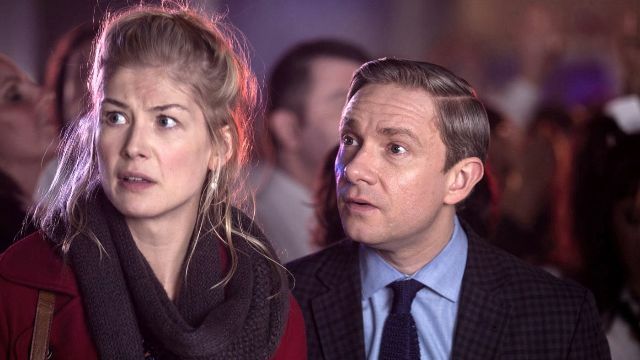 Martin Freeman plays a man named Iain MacKelpie, and while the script might be less than perfect, the acting is especially great here. Shot like a mockumentary and completely improvised, Nativity! follows a school as they do their best to put on a memorable nativity play at Christmastime. Freeman leads the film as Paul Maddens, and it’s one of the best examples of his sheer talent as a comedic lead. Sure, the rest of the cast is funny, but Freeman really outdoes himself here. Like Nativity!, Confetti is done mockumentary-style. 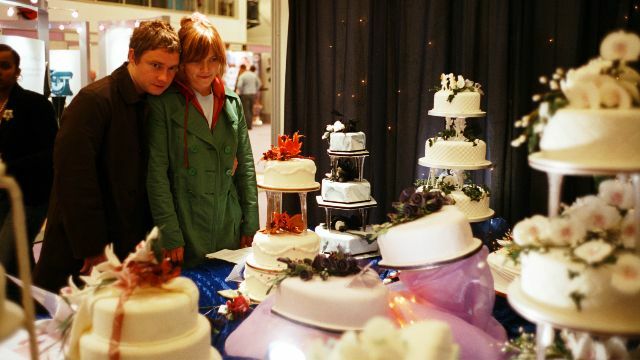 Unlike Nativity!, Confetti follows three couples as they each try to pull off the most original wedding of the year. Again, Freeman is more than willing to steal the show here as Matt, one of three husbands trying to win the coveted award. It’s a cult classic, and it wouldn’t be the same without Freeman at the forefront. Before Borat, before Bruno, before The Dictator, Sacha Baron Cohen made his feature film debut in Ali G Indahouse. 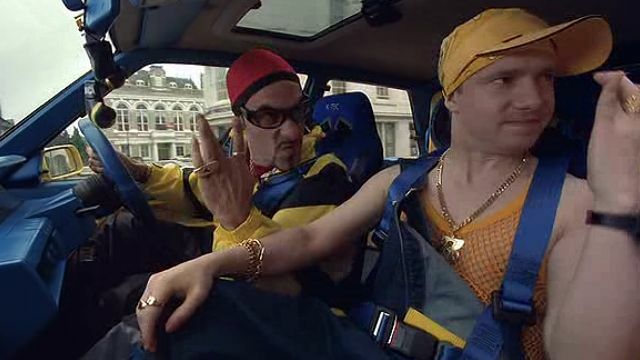 Based on the television character of his creation, Ali G Indahouse ditches the show’s mockumentary style in exchange for a narrative structure. It’s filled with the fourth-wall-breaking gags and gross-out humor we expect from Cohen, but Freeman does a lot of heavy lifting as Ali G’s right-hand man Ricky C.
Purchase now on Amazon for $7.58.